In the context of deep learning, the costliest phase from a computational point of view is the full training of the learning algorithm. However, this process is to be used a significant number of times during the design of a new artificial neural network, leading therefore to extremely expensive operations. Here, we propose a low-cost strategy to predict the accuracy of the algorithm, based only on its initial behaviour. To do so, we train the network of interest up to convergence several times, modifying its characteristics at each training. The initial and final accuracies observed during this beforehand process are stored in a database. 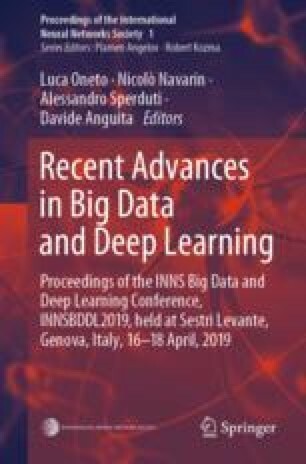 We then make use of both curve fitting and Support Vector Machines techniques, the latter being trained on the created database, to predict the accuracy of the network, given its accuracy on the primary iterations of its learning. This approach can be of particular interest when the space of the characteristics of the network is notably large or when its full training is highly time-consuming. The results we obtained are promising and encouraged us to apply this strategy to a topical issue: hyper-parameter optimisation (HO). In particular, we focused on the HO of a convolutional neural network for the classification of the databases MNIST and CIFAR-10. By using our method of prediction, and an algorithm implemented by us for a probabilistic exploration of the hyper-parameter space, we were able to find the hyper-parameter settings corresponding to the optimal accuracies already known in literature, at a quite low-cost. The research leading to these results has received funding from the European Union’s Horizon 2020 Programme under the CLASS Project (https://class-project.eu/), grant agreement n 780622. This work was also partially supported by INdAM-GNCS (Research Projects 2018). Furthermore, it was partially supported by INdAM Doctoral Programme in Mathematics and/or Applications Cofunded by Marie Sklodowska-Curie Actions (INdAM-DP-COFUND-2015) whose grant number is 713485.